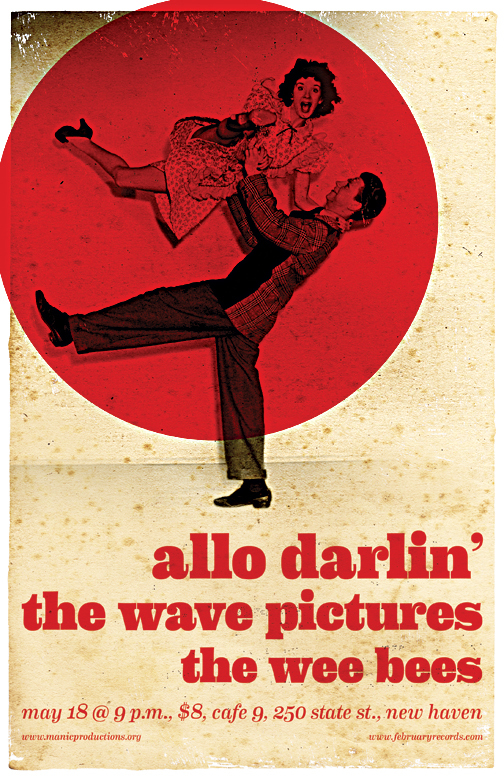 February Records is proud to join forces with Manic Productions to bring Allo Darlin’ back to New Haven. Joining them will be The Wave Pictures and opening will be New Haven’s The Wee Bees. Tickets are on sale now and are available online via etix or for no service charge at Redscroll Records in Wallingford. Allo Darlin’ is the music of Australian-born, London-based songwriter Elizabeth Morris. Originally from a county town in Queensland, Elizabeth moved to London in 2005 and, inspired to write songs by her purchase of a ukulele from the famous Duke of Uke shop in Brick Lane, began to make music. Although Elizabeth has been releasing music under various guises since 2007, it wasn’t until 2009 that she hooked up with Paul Rains (guitar), Bill Botting (bass) and Michael Collins (drums) and Allo Darlin’ was properly born. Elizabeth and Bill are from Australia, Mike and Paul are from Kent, and they all play in other bands too – Elizabeth is in Tender Trap, Paul and Michael are in Hexicon, Bill is one half of Moustache of Insanity and also in Darren Hayman and the Secondary Modern. 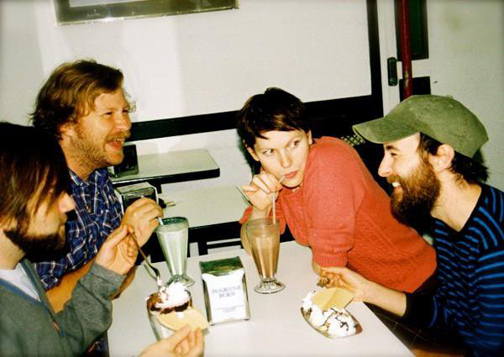 Early in 2009, augmented by Terry Edwards of Tindersticks / Gallon Drunk fame on trumpet and sax, Allo Darlin’ cut their first single, “Henry Rollins Don’t Dance,” released in 2009 on the cult WeePOP label. Much to their surprise, “Henry Rollins” started getting airplay on BBC Radio 1, 6 Music and XFM and the like, and received glowing reviews in places such as the Metro, The Fly and The Guardian, the latter calling it “the best indiepop song for years”. The band’s single that followed, “The Polaroid Song,” was named as one of Drowned In Sound’s Top 50 singles of 2009, while their latest single “Dreaming” was voted Single Of The Week by Jarvis Cocker, Peter Hook and Huw Stephens on Steve Lamacq’s BBC 6music round table (beating MGMT, The Radio Dept. and Kate Nash in the process!). The Wave Pictures are a London-based rock trio, consisting of David Tattersall, Franic Rozycki and Johnny ‘Huddersfield’ Helm. The first line-up of the band came together in Wymeswold, Leicestershire, United Kingdom in 1998. They recorded and self-released a string of albums before finally settling in London with the current line-up. The Wee Bees are a New Haven, CT-based indiepop band who formed in mid-2009 in cramped storage quarters along CT’s Quinnipiac River. The members met under the guise of Craigslist anonymity. The Wee Bees fully embrace the DIY-aesthetic that gave birth to some of our greatest creative inspirations (C86, Sarah, K, Matador, Slumberland) and craft pop songs that span the gamut from jangly verse-chorus-verse structure to tremolo-heavy shoegaze to sweet lullabies to experimental jaunts.